Just think: This could be your future. Not even the federal government can stop Washingtonians from having a good time. A government shutdown may be on its way. That could mean no monuments, museums or fun zoo times for us. But just as the shutdown storm is about to roll in, the D.C. Challenge rushes in like a superhero to save us from evacuating the city for lack of for lack of resources for fun. On Saturday, April 16, America's largest adventure race returns to D.C. 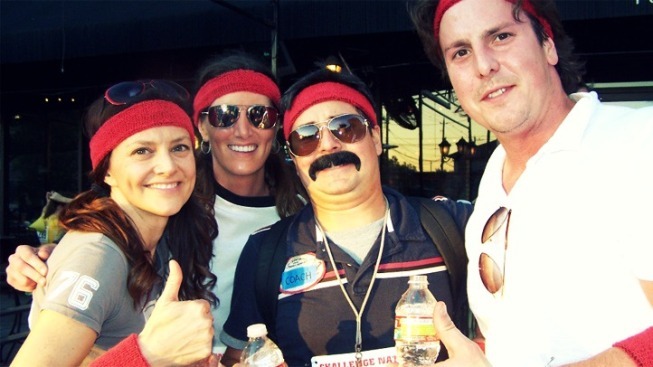 The competition pits teams against each other on an "Amazing Race"-style dash through the District. Participants must solve tricky clues, plot routes through the city and race for cash prizes at the finish line. First place in the race yields $750, while best costume will net $500 for the first-place winner. After laughing in the face of the shutdown, there will be a party for all the competitors. The Finish Line Festival will be located at The Yards Park, next to Nationals Stadium and the Navy Yard Metro. There will be music, games, food and drink and a costume contest. You can register as an individual or a team here.